The Mil Mi-24, which also went under the NATO reporting name HIND, is more than a helicopter. It is one of Russia’s top fighting vehicles and much feared by their enemies. It functions both as an armored gunship as well as being used to transport troops. The Mi-24 flew on its maiden voyage on September 19, 1969, and has been flying ever since. It has been modified and improved over the years, and it is still in active service. So what makes the Mi-24 so feared by its enemies? This powerful machine has all-round heavily armored fuselage and can resist the impact of an attack from all directions. The cockpit has ballistic-resistant windscreens, and a titanium-armored tub provides extra protection. Many aspects of the design ensure that the Mi–24 was and still is one of the fastest helicopters in the skies. For greater speed, the airframe is streamlined, and drag is reduced thanks to the retractable tricycle undercarriage landing gear. The stub wings were also removed to reduce weight. As a result of these design modifications, the helicopter has broken air speed records. 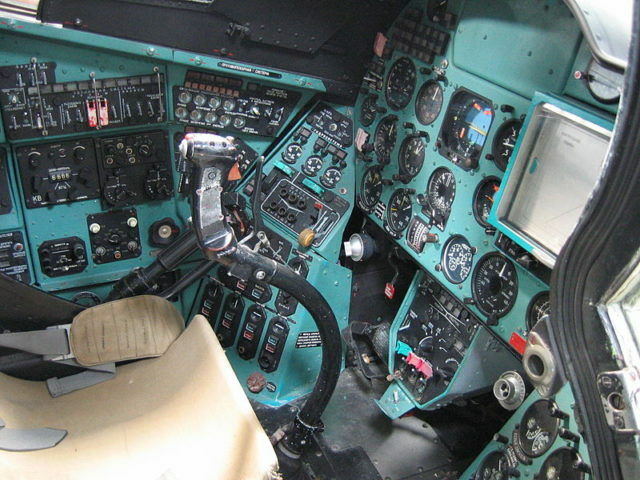 Its record for flying 1000km over a closed course, which was set on August 13, 1975, has still not been broken. It also broke the absolute speed record for helicopters in 1978 traveling at a speed of 368.4 km/h (228.9 mph) over a 15/25 km course. This record was not exceeded until 1986. The helicopters have taken part in almost every major conflict involving the Soviet Union or present day Russia. After the Soviet Union changed sides in the Ogaden War (July 1977 –March 1978)) these helicopters played a significant part in both air and ground assault. The Soviet Union deployed large numbers of Mi-24 helicopters but reports of the actual figure vary. A previously secret CIA report claimed there were 85 in action at the beginning of the war rising to 120 by 1985. Other sources put the number much higher at around 250. 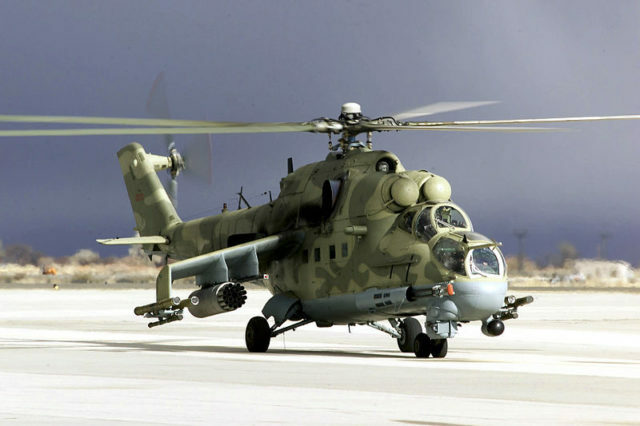 During the Iran–Iraq war the Mi-25, which was the export version of the Mi-24, worked alongside the French built “Gazelle” helicopters and created a deadly team. 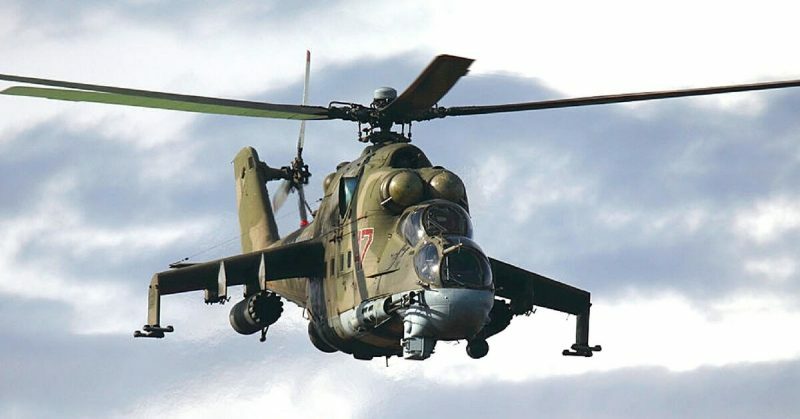 The Mi-25s took the lead with their impressive firepower while the Gazelles attacked armored vehicles with anti-tank (HOT) missiles. Despite their excellent speed and defenses one of the Mi-25s was shot down and put on display in a museum in Tehran. 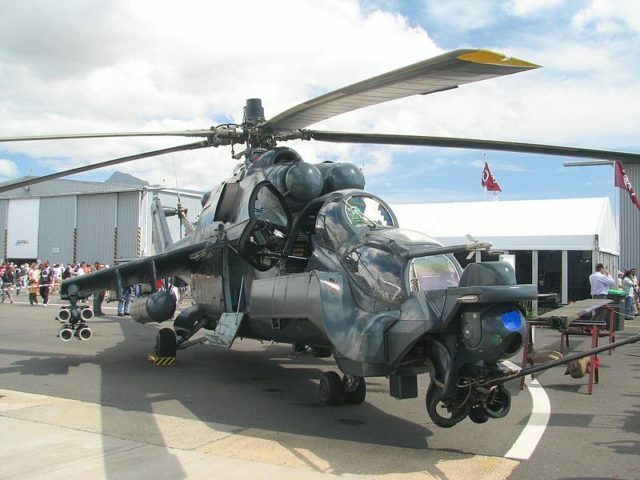 Given the popularity of military movies, it is not surprising that the Mi-24 has found its way onto the silver screen. Wolfgang Peterson’s Air Force One starring Harrison Ford has a scene involving a Mi-24 being used to exchange a Russian prisoner for a US president being held hostage. Another Mi-24 can be spotted in director John Moore’s A Good Place to Die Hard. In the movie, starring Bruce Willis, one of the characters makes a dramatic escape from a Moscow rooftop in the helicopter. Fedor Bonderchuck’s 2005 film The 9th Company is set during the Soviet-Afghanistan War, so its depiction of the Mi-24s being deployed lends it historical accuracy.